If you've been keeping up with life, then you know that the Fall/Winter 2014 collection of the A.P.C. 's collaboration with Kanye West hit the shelves yesterday. The first look at the collection was revealed a couple of weeks ago and, yes, like the first collection, it features a plain white tee. 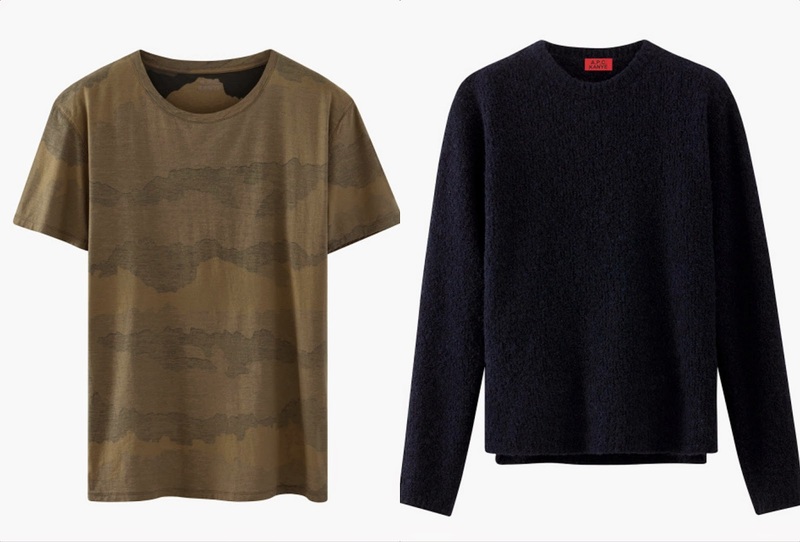 The collection is simple with a clear military influence. 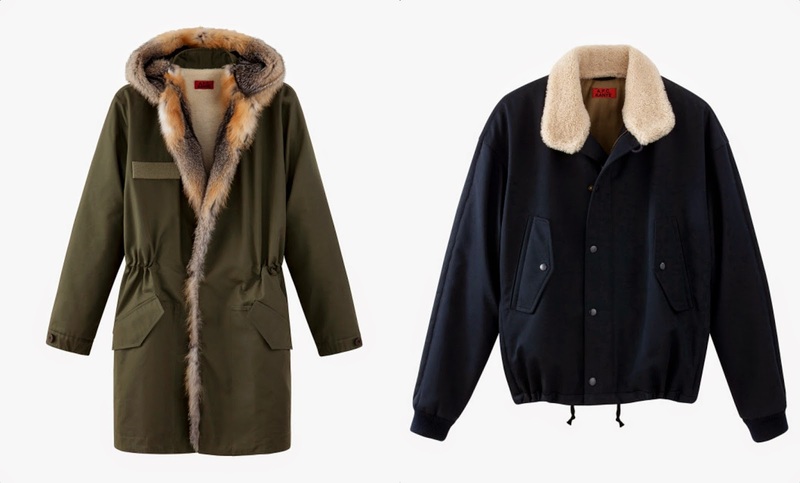 The price points range from a $90 white t-shirt to a $2,865 parka with fur. 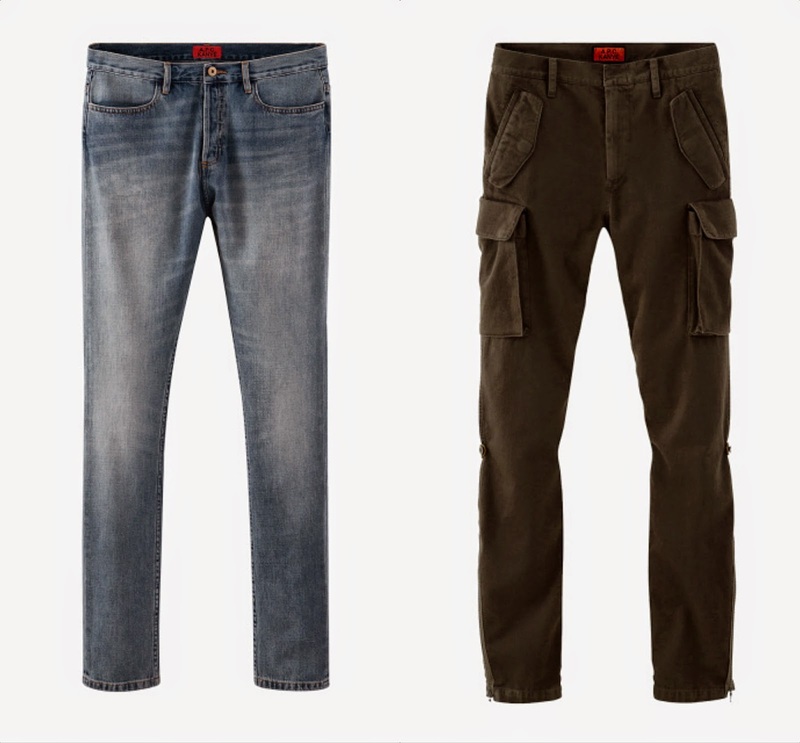 In between, you get your $340 sweaters and $280 jeans. Maybe I spend too much time looking at expensive clothes and that has somehow skewed my perception, but these price points don't seem too insane. Check out the full collection here. While I do like the collection, I'm not exactly blown away by it. I know the fit and quality of each piece goes crazy, but I'm not sitting here trying to figure how to acquire a couple of stacks to get one of these pieces for myself. I'd still probably try to date you if you popped out in one of these pieces though. Just bein' honest. 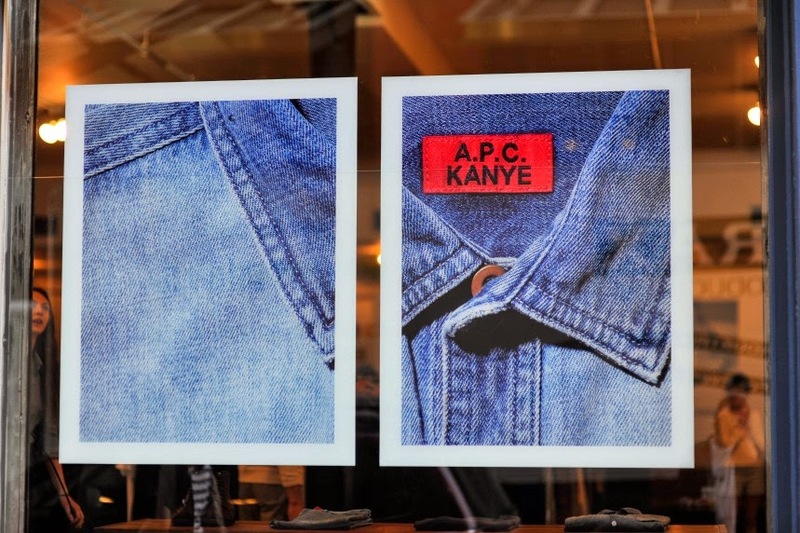 Speaking of popping out, hella dudes were outside of APC's shop in NYC waiting to drool all over this stuff. 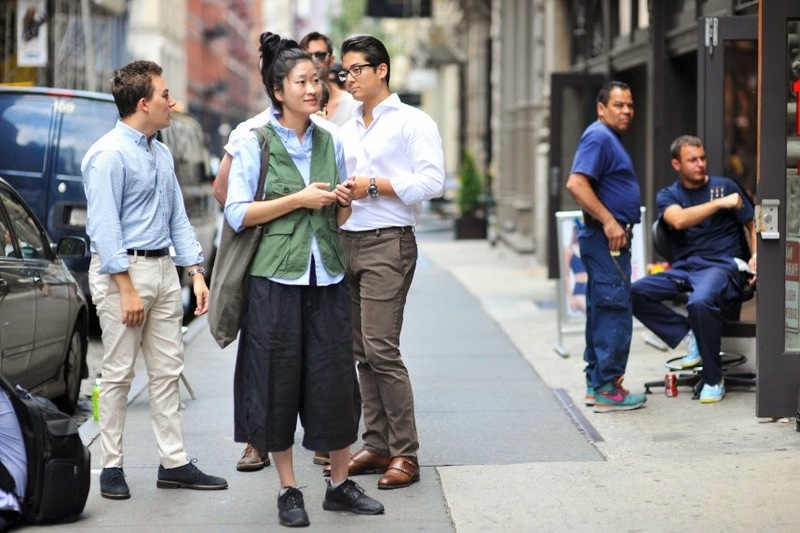 The sneaker game was pretty strong, but this lady wins for standing out amidst a bunch of guys wearing hoodies in the middle of summer **no shade**. Like AWO on Facebook. We're so close to 300 likes! And follow me on Twitter.